Get the most out of your music software and MIDI equipment. With the three models from the code series, you get keyboard controllers that have everything you'll ever need to control your software but also your analog synthesizers. In addition to professional features, great playability and an extensive software package, the code series with the background has been developed to create the best possible combination for studio and stage so you can convey your musical ideas with immediacy, precision and clarity. 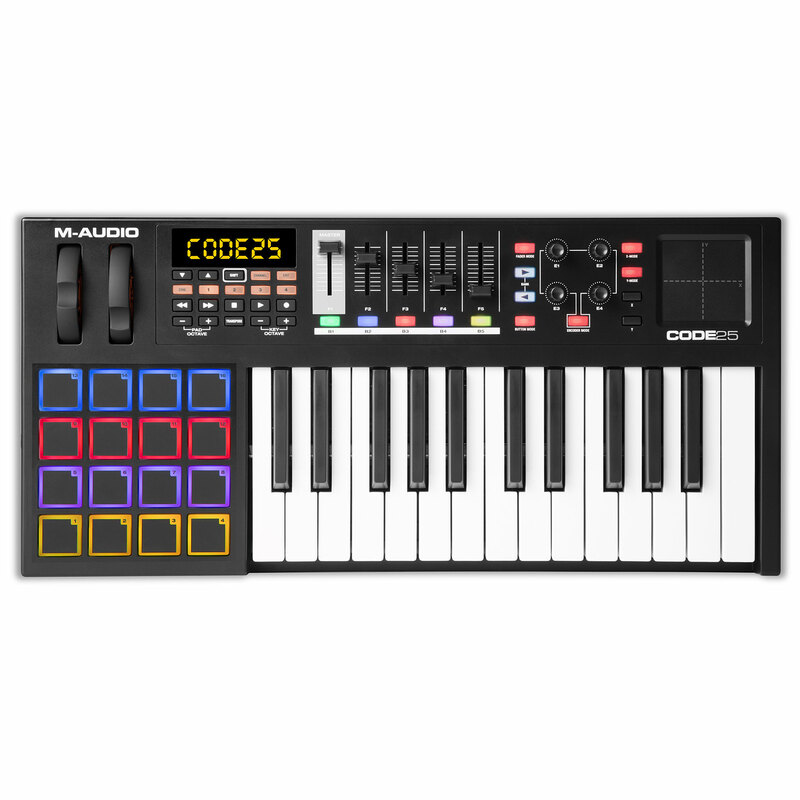 25 naturally large, touch-sensitive keys with an aftertouch and four assignable zones for divisions and stratifications. Fully assignable X / Y pads for HID control and a unique way to control multiple parameters in virtual instruments. 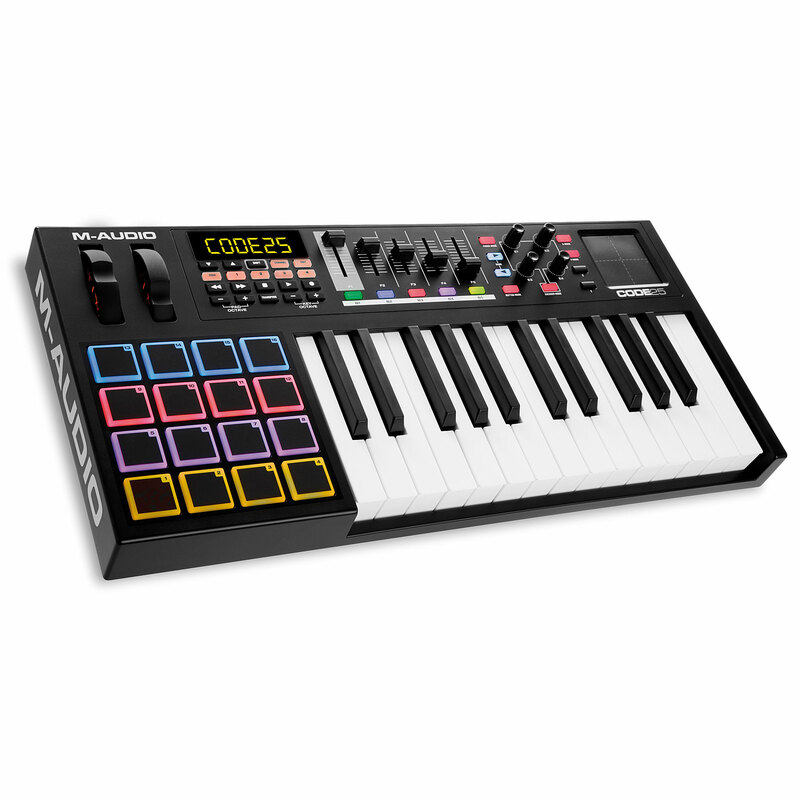 16 fully assignable touch-sensitive trigger pads for producing beats, starting on clips and more. 4 assignable 360 ​​Encoders for manipulating your DAW, virtual instruments and plug-ins. 5 assignable faders to control your DAW, virtual instruments and plug-ins. 5 assignable buttons for assigning keyboard hotkey and MIDI messages to control your DAW and virtual instruments. Mackie / HUI Transport Control allows easy setup of the most popular DAWs. LCD provides instant parameter feedback. Sustain pedal and volume pedal for further creative control. USB powered with 5-pin MIDI inputs and outputs allows you to send MIDI from the PC sequencer to your favorite analog synthesizer. 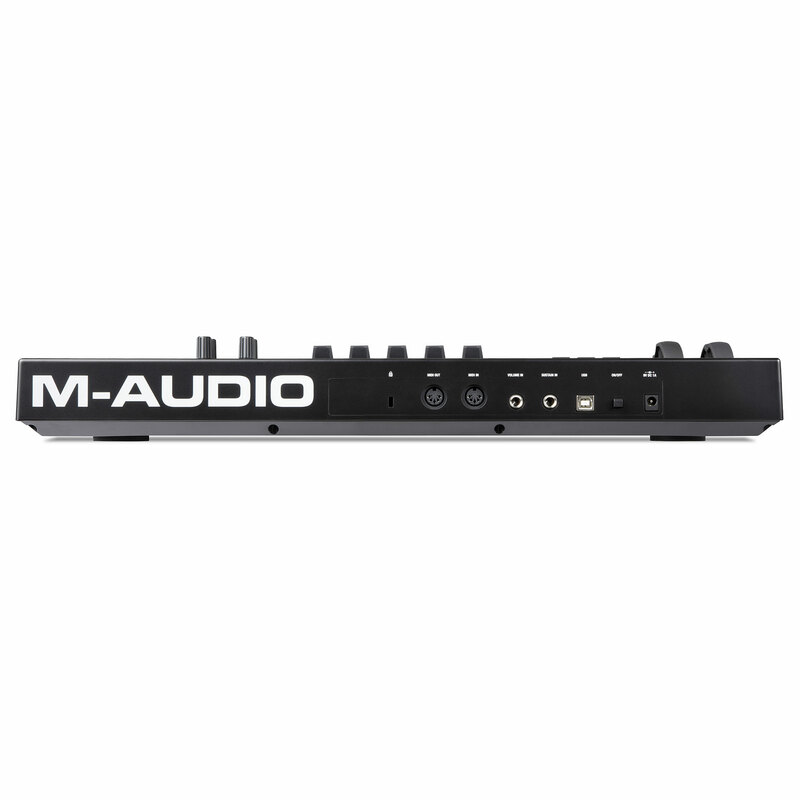 · Show all articles of the brand M-Audio.